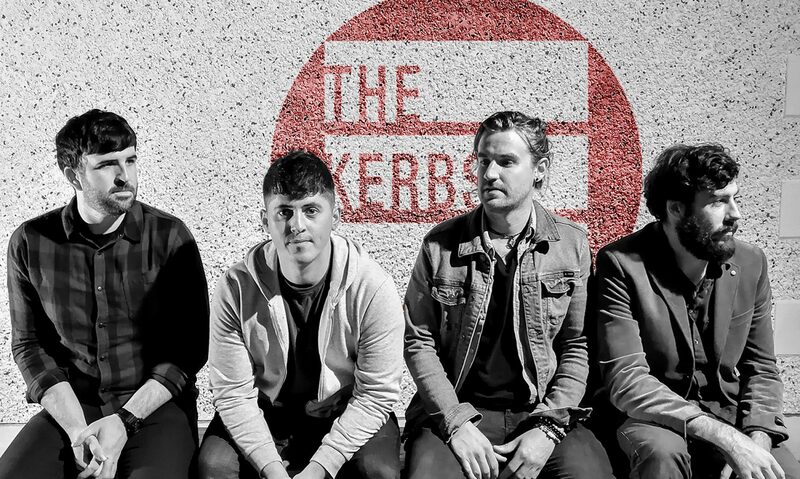 The Kerbs are a four-piece alternative rock band from the West of Ireland. The band members include Mark McHale (lead vocals, guitar), Alex Stupar (lead guitar), Noel Gallagher (bass guitar and backing vocals) and Kevin Holmes (drums). United by a common love of Pearl Jam, The Stone Roses, Ocean Colour Scene, Radiohead and The Beatles; the band cut their teeth playing house parties and dive bars before stepping up onto the Irish festival circuit – Other Voices, The Secret Village, and Luker’s River Fest to name a few. Since the release of their debut single ‘Changes’ in November 2017, the band have released another two singles ‘I Am Zeus’ and ‘Creep’ which have been featured on RTÉ Radio One, Spin 103.8, iRadio, Cork 96fm, Radio Nova and Mid-West Radio including live performances on FM104, and RTÉ 2xm and have been featured in publications from Joe.ie, IMRO, REMY, Broadsheet, Indie Buddy and Emerging Indie Bands. Their latest single ‘Creep’ was added the RTÉ Radio One Recommends playlist, reached No. 7 in the Irish Radio Airplay charts and has been added to official Spotify playlists. The Kerbs are set to release their debut EP later in 2018.